A darker side of Federal Hill’s history was made from this unassuming storefront. The Coin-O-Matic was the headquarters of the Patriarca crime family, one of the most ruthless and powerful criminal organizations in the United States. Raymond L.S. Patriarca was able to sink roots deep into the soil of the city and extend his reach across New England. From the fifties through the eighties, Patriarca ran his cash-only tobacco vending business as a money-laundering front for more sinister operations, including human trafficking, gambling, prostitution, theft, extortion, and murder. He wielded influence as far away as Miami and Las Vegas. He was a perennial target of the FBI, but his hold on power ended only at his death in 1984. Well-remembered Mayor Vincent “Buddy” Cianci launched his political career as an anti-corruption candidate after serving as a special prosecutor in a murder and conspiracy case against Patriarca. Many in the neighborhood still remember the days of Patriarca, and more than one of his former associates haunts the benches and bocce courts of Federal Hill. News footage from Raymond Patriarca's 1972 acquittal on accessory to murder charges in the Marfeo-Melei case. ~ Source: Gimlet Media,Rhode Island Historical Society. Accession number: 1977.124.404. Raymond L.S. 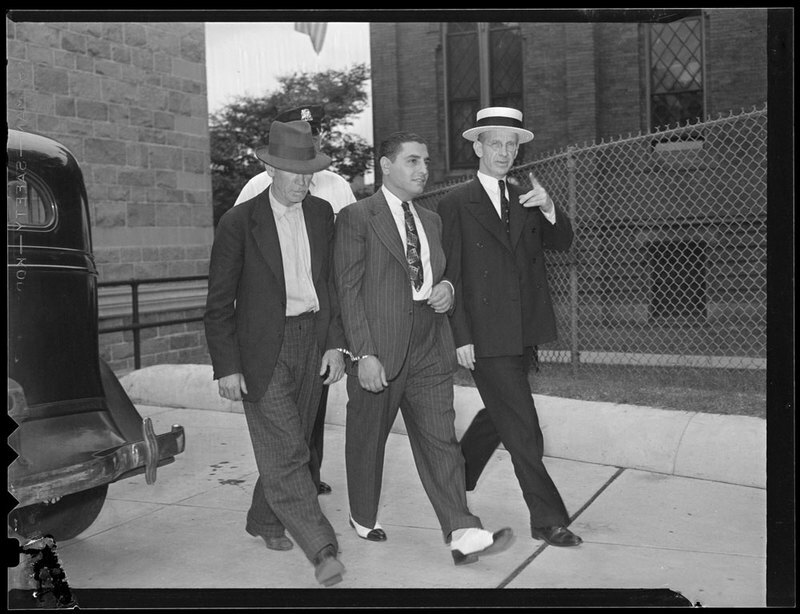 Patriarca at court in Boston, Massachusetts in 1939: Patriarca had been arrested and convicted of armed robbery, but was pardoned by lame-duck Governor Charles F. Hurley, proving that even back then, Patriarca had friends in high places. ~ Source: Leslie Jones Collection, Boston Public Library. 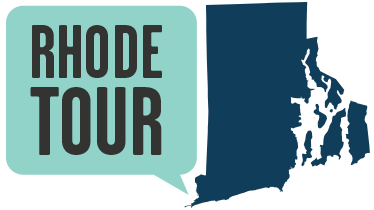 Interested in the history of organized crime in Providence? Check out local journalist Tim White’s collaboration with two other writers, Randall Richard and Wayne Worcester. The Last Good Heist recounts the fascinating twists and dark characters connected to Providence’s Bonded Vault Heist of 1975. Taylor M. Polites, “Coin-O-Matic,” Rhode Tour, accessed April 21, 2019, http://rhodetour.org/items/show/151.